Aside from not yet having a functional pool in place, the new Hotel Indigo in Wan Chai has been receiving a flutter of fantastics since it opened in May. 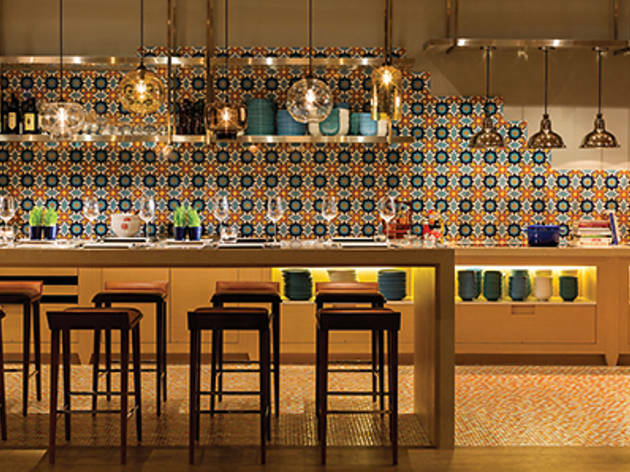 The space is cool and casual, with interesting light fixtures and a backdrop of colourful tiles, giving it a warm, inviting feel. It’s the kind of space where we imagine the hotel guests happily linger for hours over breakfast or chill out over a long evening feast. We go for an evening bite. At first sight, though, the menu is a little overwhelming. There’s a lot to choose from. It may be easier if you limit yourself to just Western or Eastern fare – but who wants life to be easy? We mix and match from both sections of the menu, starting with Western: the crispy salt and pepper squid with lime aioli ($100). Each ring of calamari is perfectly tender and delicately battered so it doesn’t feel too heavy a starter. Moving on to Eastern, as suggested by our friendly waiter, we opt for the ‘dai pai dong’ stir-fried rice noodles with beef ($110), Sichuan chilli beef in a clay pot ($130) and the braised chicken in black bean sauce ($160). Each dish is packed full of flavour and, if you were new to our cuisine, would be the perfect introduction to Chinese food. But that doesn’t mean a local wouldn’t find this fare any less delicious in its simplicity. It’s non-fussy comfort food that conjures up excellent childhood nostalgia. The beef dishes both boast incredibly tender meat that doesn’t warrant too much chewing before swallowing. Unfortunately the chicken dish would be better with boneless pieces of the bird – but this doesn’t ruin the delicate meal. 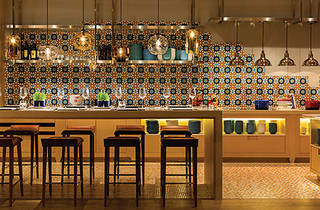 Café Post 2/F, Hotel Indigo Hong Kong Island, 246 Queen’s Rd E, Wan Chai, 3926 3880, daily 6.30am-10.30pm. Dinner for two: around $300.